Mr. Deep's first name is Steve. Mr. Steve Deep. Normally I wouldn't just out him like that but it's central to the story that you know this. And let's be honest, many of you knew it anyway. When we first visited Johannesburg in October we spent time driving around with our assigned relocation expert, Ruth. As we were driving around we began to notice various billboards. Here's an example. So finally, Mr. 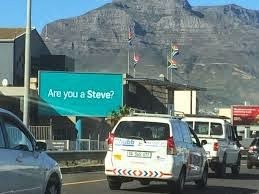 Deep asked Ruth, "what are all of these billboards about Steve?" 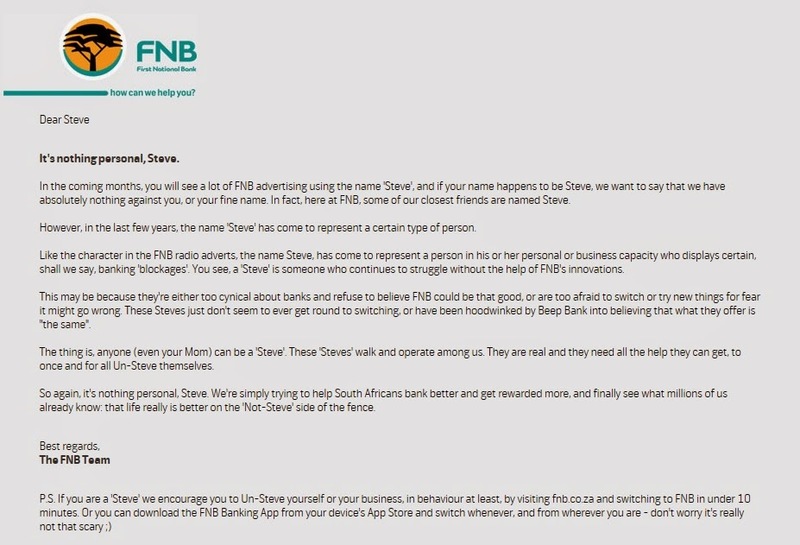 Well it turns out that First National Bank called FNB for short which is a big bank here had an ad campaign all about this dolt named Steve. 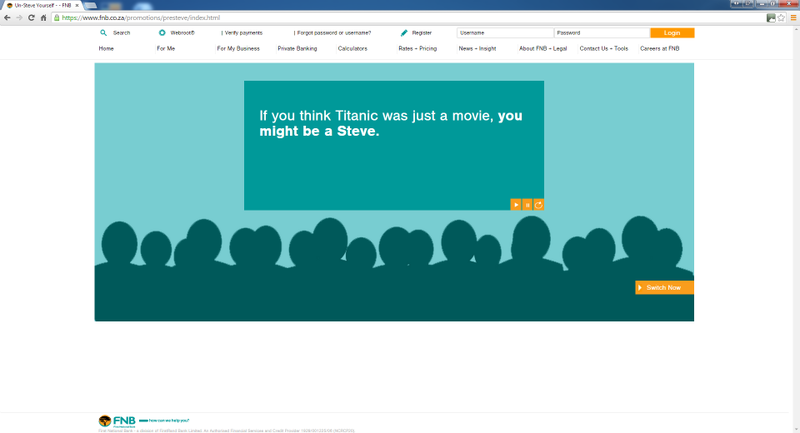 The whole campaign was based on Steve having a lot of misconceptions about banking and not being capable of wisely choosing a bank given his incredible idiocy. The goal of the ad campaign was to position FNB as the bank that has the solutions and encourage people to switch and bank with FNB. The naive Steve, who believes his bank is the best ''because they said so". The cynical Steve who has been ''burnt by other banks and decided that all banks are the same". 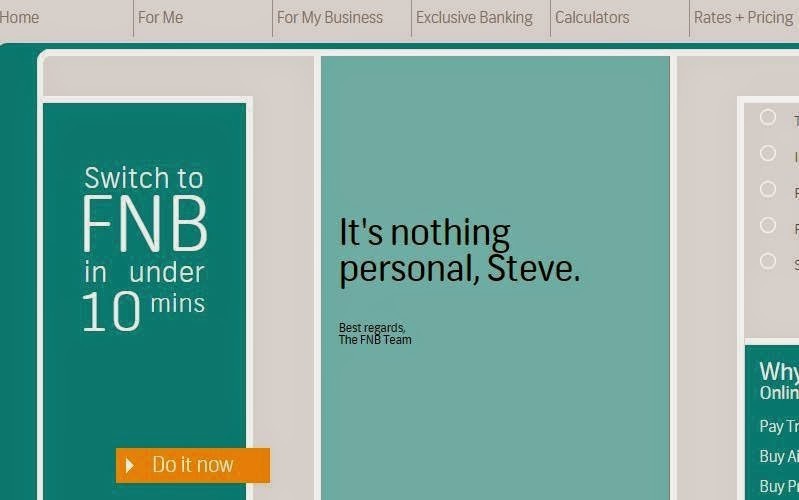 The ad campaign played off FNB’s previous campaign featuring telemarketing agent “Steve Norris” who consistently failed to retain or win over customers to a competing bank. I found the whole thing funny but will admit I don't know how I would feel if the shoe was on the other foot. If a whole ad campaign used your name as a joke and you were going to be living in a new country and constantly introducing yourself to people how would you feel? My name is Liza and I know there's a hole in the bucket. Mr. Deep decided that he would start introducing himself as Stephen, answering the phone as Stephen and he changed his work email signature to Stephen. Those of you who know him in the U.S. don't be surprised if the next time you see him he doesn't answer to Steve right away. He also decided that the Deep Family would not be banking with FNB. Luckily Mr. Deep didn't need to worry too much because in the time that we were back in the U.S. before moving here, a whole gang of Steve's got together and through their lobbying efforts got the Advertising Standards Authority of South Africa to order FNB to end the campaign. And not just end it. Almost all proof it ever existed is gone. 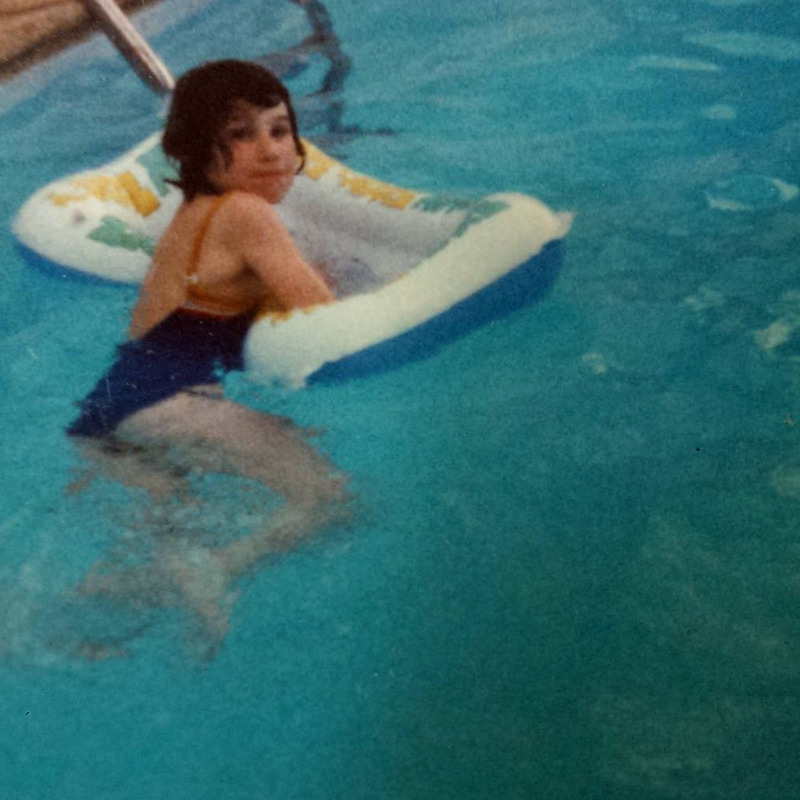 Even in writing this post, it's hard to find pictures to show you. Luckily I was able to find some. The Steve's used the age old argument that you need to use if you want something changed....they said that the campaign was harmful to children named Steve and it was causing bullying on the playground.